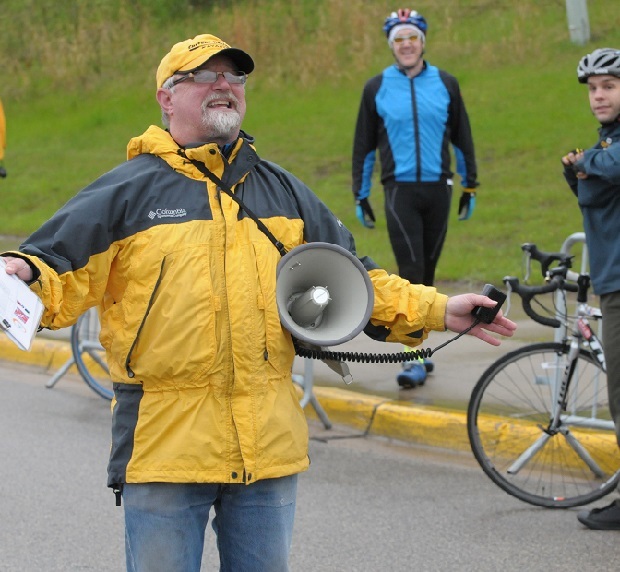 In the photo above Jon Ridge, director of both the Minnesota Ironman Bike Ride and Hosteling International Midwest announces that registration for the 50th Anniversary spring ride, April 24th, in Stillwater, is now open. With no running or swimming involved, this years annual ride offers several new route options for both the novice and experience cyclist, with bragging rights at the end! 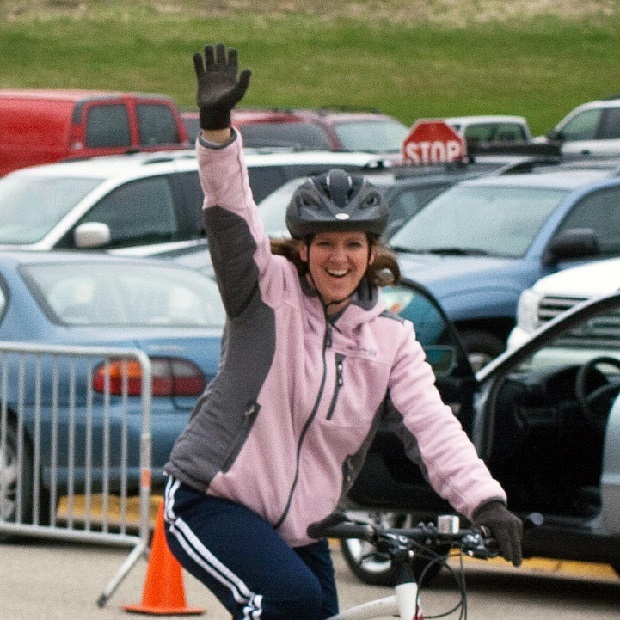 Here is one excited lady, on her bike and hearing the news about the 2016 MN Ironman’s registration now open. No Swimming – No running – just Biking! Join thousands of the heartiest cyclists for the 50th anniversary of the Minnesota Ironman Bicycle Ride. 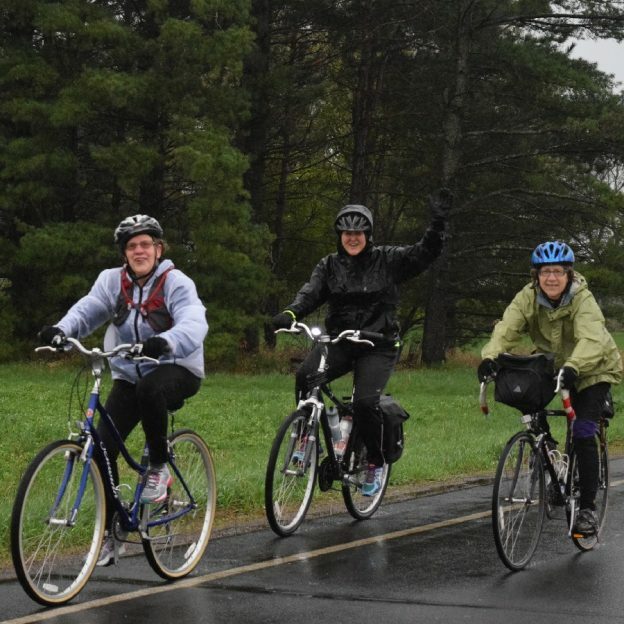 The Minnesota Ironman® Bicycle Ride (MIBR) will be celebrating its 50th Anniversary on Sunday, April 24th with its beautiful ride through the scenic St. Croix Valley. The Minnesota Ironman® Bicycle Ride is just that: a bike ride, and not a race. Not to be confused with the IRONMAN Triathlon, the MIBR is biking only with no swimming or running, and is open to riders of all ages and abilities. Routes have been designed in approximately 15, 30 and 60-mile loops to provide options for everyone from casual riders and families to experienced cyclists looking for a challenge to begin their 2016 outdoor cycling season. 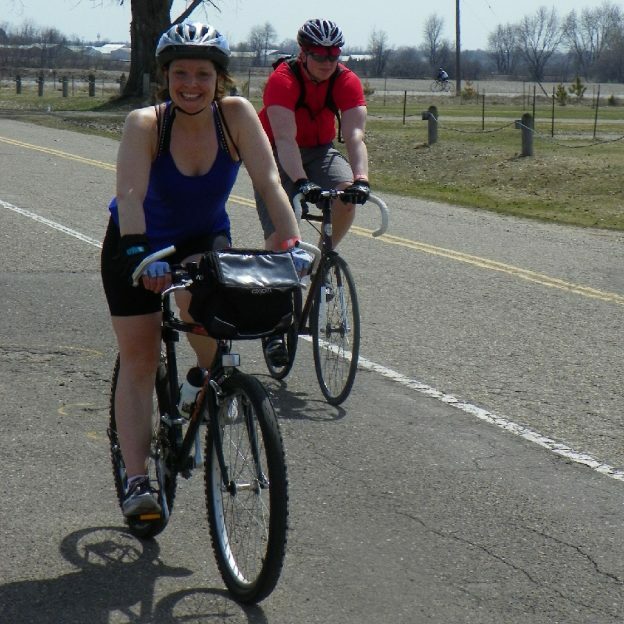 As the earliest organized bicycle ride in the Upper Midwest, the Minnesota Ironman® offers Bragging Rights, Guaranteed! Early Bird Registration is open at www.IronmanBikeRide.org, offering a $10 discount on registration fees. This entry was posted in News and tagged Biking Stillwater MN, biking Washington county, Find your next adventure, Gateway trail, Minnesota Ironman Bike Ride, Road Biking MN on February 2, 2016 by Russ Lowthian.